Palatka History - Downtown Palatka, Inc.
"Gem City of the St Johns River"
Palatka became known as the "Gem of the St Johns" and boasted several world-class hotels that included the Arlington, Saratoga, La Fayette, and the Putnam House, with accommodations to host 6,000 visitors. 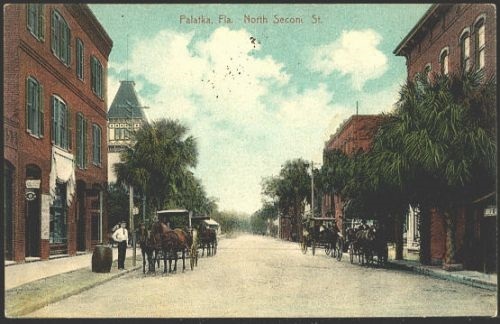 Palatka prospered in the late 1800s as an enormous resource for timber and citrus and had a reputation for natural beauty that attracted many visitors. A devastating fire in downtown Palatka in 1884 destroyed many of the grand hotels and deep freezes in 1894 and 1895 devastated the area's citrus industry, causing a decline in the area's visitation and industry. 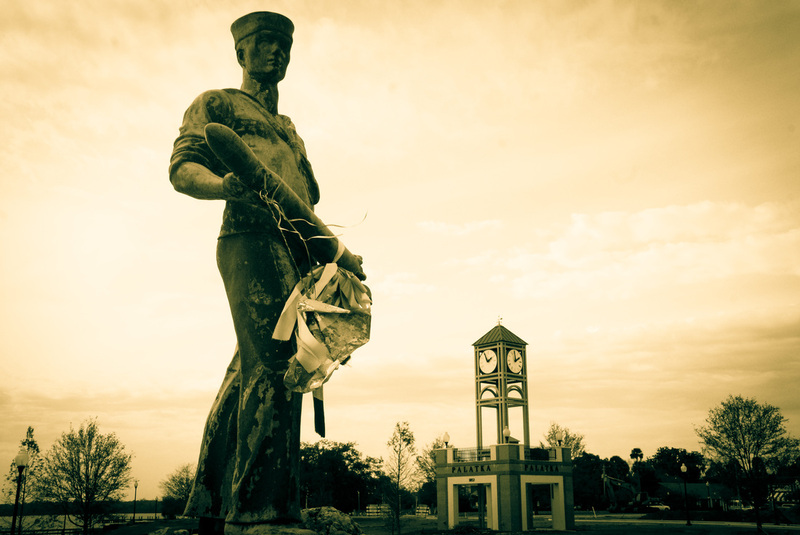 Four life-like copper statues, commemorating the soldiers who served, stand at both ends of the Palatka Memorial Bridge. A 2.8 mile scenic driveway borders the 70-120 feet deep ravine. 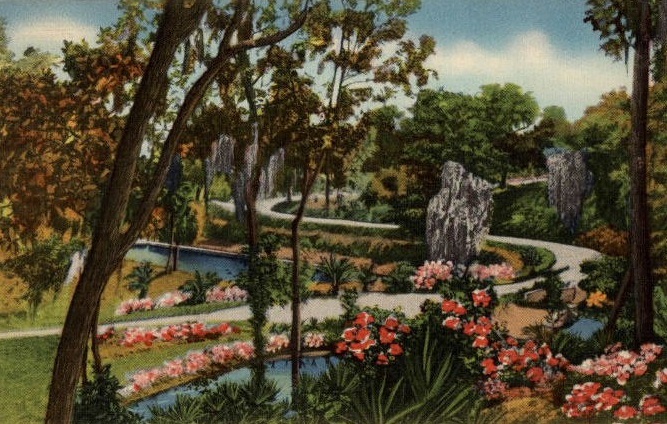 the 89-acre gardens, dating back to 1930, were planted with over 95,000 azaleas, including 64 varieties, 11,000 palm trees, and more than 250,000 ornamental plants. The 64 foot tall obelisk, dedicated to Franklin D Roosevelt, is located near the park entrance. The park boasts extensive fieldstone terraces, rock gardens, and massive cypress building construction. The park is open 7 days a week. Visit www.floridastatepark.org for more information. community will be enhanced and developed. Visit www.conleemurals.org for more information.